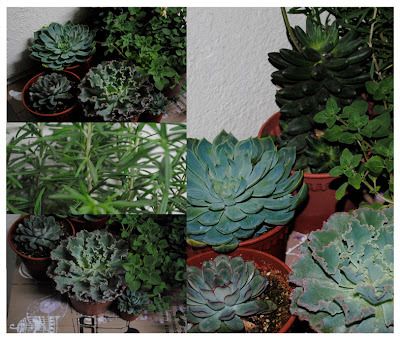 Just wanna share one of my theraphy... my herb corner.. and some cactus plant that I got from Cameron Highland recently..
Green is such a theraphy for me..and I just love the aroma, the aesthetic look and shape of leaves. I grew few types of herb such as oregano, rosemary, mint, lemon grass, daun kesom, daun limau purut and curry leaf. 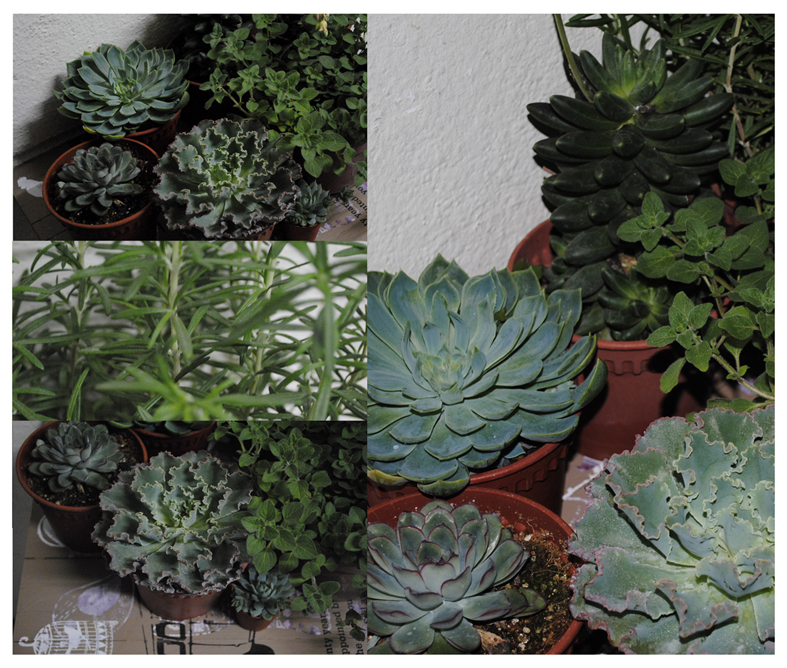 They are easy to take care of..and very useful to have some in the pot whenever I feel like to have it in my dishes. Mint is one of the most simple to use of the natural herbs, and has a lot of good uses, besides just tasting good. It is also easy to grow, and in fact will tend to take over an area pretty easily. If you feel like to have tea, just pluck the leave and put in your tea, it gave such a refreshing effect. Oregano is an excellent source of vitamin K and a very good source of iron, manganese and dietary fiber. In addition, oregano is a good source of calcium, magnesium, vitamin A, vitamin C and omega-3 fatty acids. The warm, balsamic and aromatic flavor of oregano makes it the perfect addition to Mediterranean and Mexican cuisines. Whereby, Rosemary is widely used as a spice when cooking, especially in Mediterranean dishes. syam, my house bnyk pokok rosemary. buat roast mmg sedap klu letak rosemay. my mint pulak gemuk2. my moroccon fren suka sgt letak dlm teh sbb moroccon tea kan letak mint.... bila nak mai sini as airasia start fly to chch. ur fren x contact dija pun. dia jadi ke mai sini?